Alsoft A - Goodmaid Chemicals Corporation Sdn. Bhd. 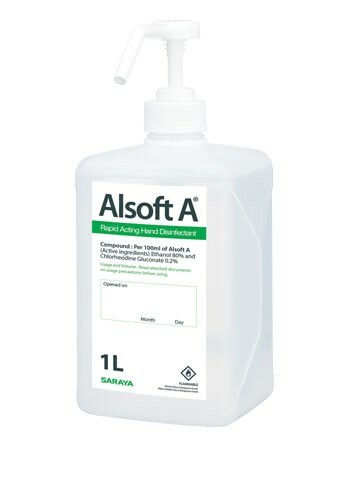 Fragrance free ethanol disinfectant containing Chlorhexidine Gluconate 0.2w/v% for hygienic and surgical hand disinfection. Meets EN1500 and EN12791 standards for broad efficacy against a variety of microbes while providing excellent skin moisturizing and protection. Active against a wide spectrum of microorganisms including rapid action against MRSA bacteria. Chlorhexidine gluconate provides antibacterial efficacy for hours after application.